If 2008 is to be the year of the new Deep Funk scene, according to Mojo magazine Baby Charles are the most likely candidates to lead the uprising with this, their debut album. After 3 heavyweight 45s, all of which have found heavy rotation in funk spots around the globe, the album is a delight to behold. Soul diva Dionne Charles delivers her unique, self-penned stunning vocal performance, while the remaining eight lay down the heavy funk grooves. Throughout the 12 tracks, the band display a range of styles which reflect their diverse influences. There's the Latin inspired bass groove in 'Treading Water', the Meter's style funk of 'Invisible', the James Brown influence on 'Hard Man' and 'No Controlling Me', there's even some Egyptian Jazz thrown in the mix on the instrumental track 'The Sphinx'. Moreover, this album includes a funk & afrobeat cover of The Artic Monkeys 'I Bet You Look Good On The Dancefloor' plus a version of DJ Shadow's 'This Time'. Baby Charles were recently invited by Mark Lamar to the BBC´s Maida Vale Studios to record a great live session for his God's Jukebox show. He loved the band so much he offered to write the liner notes for the album! 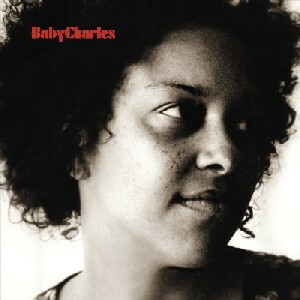 So if veteran DJs such as Snowboy, Keb Darge and Dj Andy Smith have given it their approval, alongside the younger generation of funk lovers, isn't it about time you gave yourself over to the raw, unadulterated power of Baby Charles?